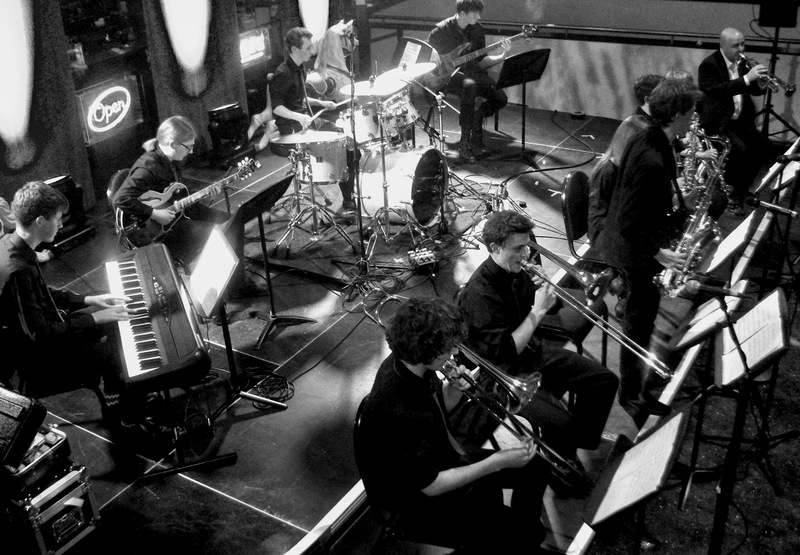 Jambone, Sage Gateshead’s student big band, is heading to this year’s EFG London Jazz Festival! The Tyneside youth ensemble will be performing at Rich Mix on Saturday November 21 at 4:45pm. Shepherding the flock of school/college fledglings will be Dr Paul Edis (representing Sage Gateshead), and composer/arranger/educator Ben Cottrell doing various beats & pieces. Others on the bill, starting at three o’clock, include Led Bib. If you’re in the Smoke on the day why not go along and show your support? That’s Rich Mix, Bethnal Green Road, London E1 6LA, Saturday November 21. Tickets: £5.00. Meanwhile, closer to home, It’s Hats & Gloves Time! Three togged-up school age musicians pitched up outside Fenwick’s department store on Northumberland Street, Newcastle, mid-Saturday morning. Fingerless gloves and woolly hats, a left handed acoustic guitarist sat between an alto player and a young beat boxer. Tenderly taken at an admirably slow tempo caught the ear of your passing Bebop Spoken Here correspondent. Did they know about Newcastle’s many jam sessions? Blank looks. Do you know where Central Station is? They were vaguely aware. Over the road, there’s a Greggs. Walk up Pink Lane to the Jazz Café. There is a jam session there on Tuesday at eight o’clock. Why not go along and sit in, play a couple of tunes? The alto player: Can I find it on the internet?